He was awarded his O.B.E. for services to poetry in 1997 and a C.B.E. last year. He was recently honoured with the Freedom of the City of Liverpool. 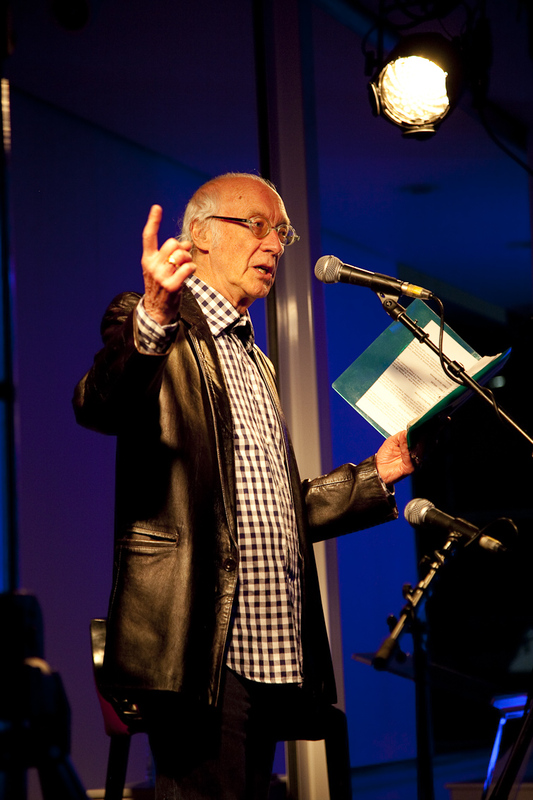 Roger McGough is an Honorary Fellow of Liverpool John Moores University and an Honorary Professor at Thames Valley University . He has an MA from the University of Northampton and D.Litts from the universities of Hull , Liverpool & Roehampton. Much travelled and translated, his poetry has gained increasing popularity, especially from its widespread use in schools. A prolific writer, he is twice winner of the Signal Award for best children’s poetry book and recipient of the Cholmondeley Award. His latest poetry book is That Awkward Age (Penguin) and, for children, The Imaginary Menagerie (Frances Lincoln) with illustrations by the author. Live concert cd Lively available at www.rogermcgough.org.uk/cd. His autobiography Said And Done (Century) explores overnight fame with Lily The Pink, The Scaffold and Yellow Submarine which he helped write for the Beatles. He encounters Bob Dylan, John Lennon, Marlon Brando, Allen Ginsberg, Pete McCarthy and Salman Rushdie amongst others. Top-selling The Mersey Sound: Penguin Modern Poets 10 with Liverpool poets Brian Patten and Adrian Henri - now in Penguin Modern Classics - hits with The Scaffold and college touring with GRIMMS (Mike Gorman, Andy Roberts, Neil Innes, Mike McCartney and occasionally Adrian Henri, Zoot Money & Brian Patten) were followed by internationally acclaimed collections of poems & stories, regular broadcasts and edited anthologies. Roger currently hosts Poetry Please. His dead good collections include Everyday Eclipses, The Way Things Are, Defying Gravity, Blazing Fruit, Summer With Monika (revised 1990) and Melting into the Foreground.